If you are a sports fan, TomTom Spark is not unfamiliar. The TomTom Spark 3 is a GPS, heart rate monitor and music fitness watch, which not only allows the wearer to monitor their progress, set goals, and stay motivated, it also stores up to 3GB of music for wireless music listening without a smartphone nearby. And Bluetooth allows the fitness watch to wirelessly connect to apps for sharing workouts and progress with friends. You cant directly transfer Apple music playlist or songs to TomTom Spark 3, why? Apple Music is a streaming music service, all the music on Apple Music are streaming. During you subscribe Apple Music, you can freely enjoy all the Apple Music, download for offline playing and so on. However you still can’t freely transfer them to other devices, including your TomTom Spark 3, because of the DRM limitation. With the DRM limitation, after you cancel the Apple Music subscription, all the Apple Music files can't be played including the ones you have downloaded. And this is also the reason why you can’t freely transfer the downloaded Apple Music files to TomTom Spark 3. Sometimes even you can find the iTunes media folder and copy them, you still can’t play them successfully. Now we have knew that which protects Apple Music. If we want to transfer the downloaded Apple Music to TomTom Spark 3 and play them successfully, we need to remove DRM from Apple Music and convert them to the audio formats supported by TomTom Spark 3. 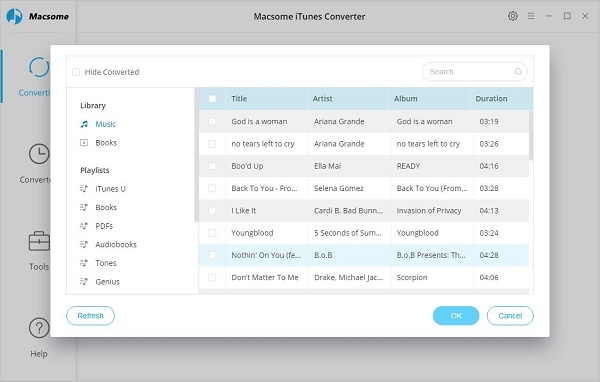 Here we recommend you Macsome iTunes Converter, which supports a wonderful and helpful solution to decrypt DRM from Apple Music and convert them to MP3, AAC, FLAC and WAV with fast conversion speed and almost 100% output quality. Before the conversion, free download the latest version of iTunes Converter on your computer according to your system. Step 1. Double click to install the trial version of iTunes Music Converter on your PC, and then run it. Step 2. click the Add button to add the Apple Music files. After you choose the music files, click "OK", and then all the audio tracks files you selected would be listed on the main window. Step 3. Set the output format by clicking the Setting icon. 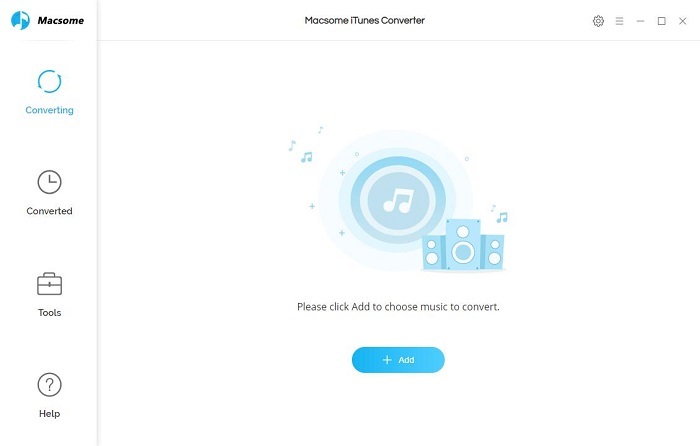 Macsome iTunes Converter supports totally four output formats including MP3, AAC, FLAC and WAV. Here we choose MP3 as the output format. If it is necessary, you can set the output organization type. 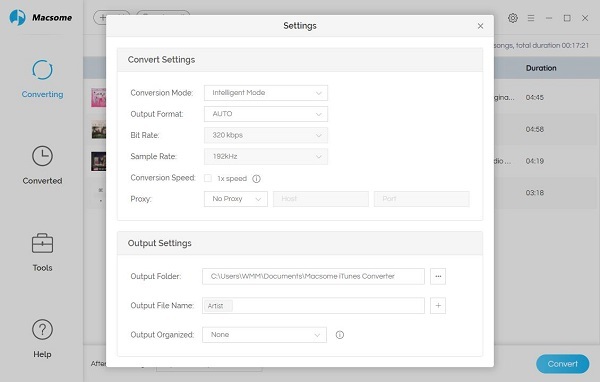 Step 4. click the Convert button to start converting. Step 5. Sync the converted music files to TomTom Spark 3. 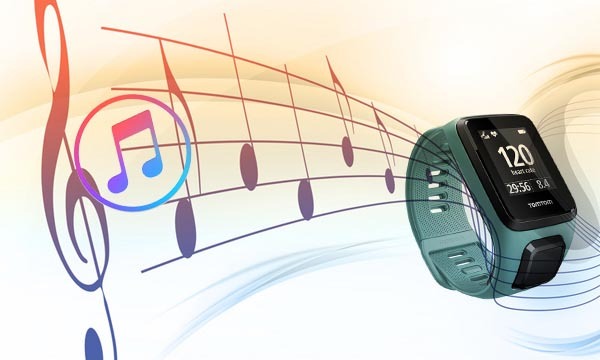 First, connect your music watch to your computer. TomTom Sports Connect opens and checks for updates. 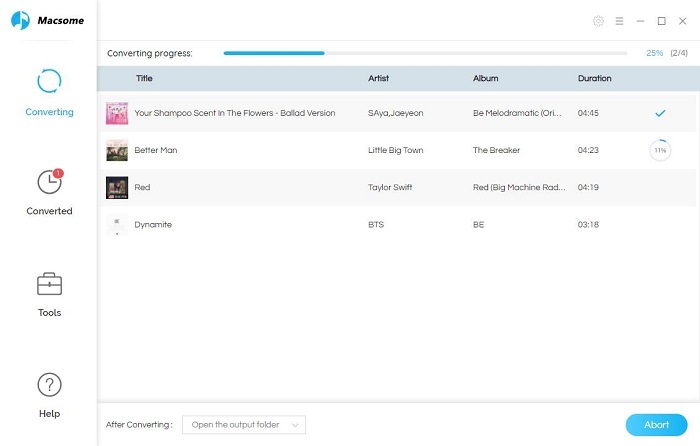 Finally, hover over a playlist and click the + to copy the playlist to your watch.